Qualified APN Partners delivering AWS Cloud services as business solutions to AWS Customers. Why Join the AWS Managed Service Provider (MSP) Partner Program? The AWS MSP Partner Program provides qualified APN Partners with technical and business benefits to deliver AWS Cloud services as business solutions to AWS Customers. The program is designed for APN Consulting Partners who are skilled at cloud infrastructure and application migration, and deliver value to customers by offering proactive monitoring, automation, and management of their customer’s environment. 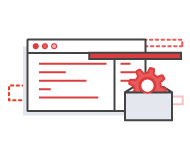 Learn more about the AWS MSP Partner Program, benefits, and how to get started below. To get started as a AWS MSP Partner, you must register as an AWS Consulting Partner with the AWS Partner Network (APN) and upgrade to the Select Tier (formerly Standard Tier). Follow the steps below to complete APN registration and receive access to APN Partner Central. In order to qualify to the AWS Managed Service Provider Program, APN Partners must demonstrate the skills and knowledge to effectively leverage AWS solutions to their customers. APN Partners interested in applying to the program are encouraged to utilize the below tools to build their AWS practice. Earn APN Partner Accreditations: APN offers APN Partners e-learning courses to help technical and business individuals to deepen their knowledge of AWS services. Accreditation courses are available online via the APN Portal at no cost. Earn AWS Certifications: Get validation for your proven experience with AWS. AWS Certifications recognize IT professionals who demonstrate the skills and technical knowledge necessary for designing, deploying, and managing applications on AWS. We offer certification across technical roles and levels of proficiency. Visit the AWS Certification page to learn more. 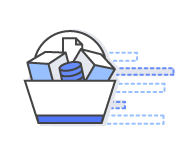 Refer to AWS Reference Architecture Center: Apply guidance and best practices from the AWS Architecture Center to build highly scalable and reliable applications in the AWS Cloud. An essential component of the AWS MSP Partner Program is the partner capabilities audit. The audit process is based on the criteria outlined in the AWS MSP Partner Validation Checklist and will be performed by an independent third party. Download the Partner Validation Checklist from the APN Portal and perform self-assessment. Gather objective evidence corresponding to the checklist items, to be shared as a part of the audit. Compile list of required participants and potential dates for the audit to occur. Send completed self-assessment to aws-msp@amazon.com when you are ready to schedule your capabilities audit. Note: The APN Partner’s cost for the Managed Service Provider Partner Program audit will be $3,000 USD, plus auditor travel costs paid to the auditing firm. Update Partner Scorecard: Before submitting your application, please make sure your firm’s Partner Scorecard is up-to-date. To access your Partner Scorecard, log in to APN Partner Central and click on “View Partner Scorecard” found in the left navigation. Complete AWS MSP Partner Program Application: Complete the final step by submitting the AWS MSP Partner Program application. Note: You will not see the AWS Managed Service Provider Partner Program application in your APN Scorecard until program prerequisites are met. If you have any questions regarding the above instructions, please contact your Partner Development Rep/Manager.